Your itinerary includes some good beach time at Pengkalan Balak Beach (Pantai Pengkalan Balak) and Tanjung Gemok Beach. Satisfy your inner culture vulture at Chinatown - Melaka and Malacca River. Take a break from Melaka with a short trip to Tanjung Gemok Beach in Port Dickson, about 1:25 hours away. 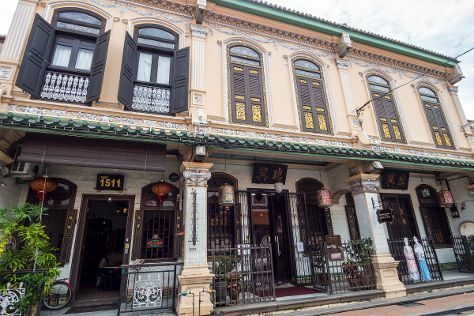 There's lots more to do - examine the collection at Baba And Nyonya Heritage Museum, browse the exhibits of Stadthuys, admire the striking features of Malacca Sultanate Palace, and don't miss a visit to Jonker Street. To see where to stay, other places to visit, maps and more tourist information, read Melaka travel guide. Singapore, Singapore to Melaka is an approximately 2.5 hours bus. You can also drive or take a bus + fly. Expect a daytime high around 36°C in Melaka in July, and nighttime lows around 28°C. Finish your sightseeing early on 10th (Sun) to allow enough time to take a bus back home.